Growing up, I can hear my moms voice encouraging me to do things “the easy way.” That Mom advice is tested and true, isn’t it? Often, “the easy way” means with a little planning and anticipation and “the hard way” means just winging it and hoping for the best. I want to do things “the easy way,” life is challenging enough! Our little Buddy sleeps at the foot of our bed. At first my husband wasn’t crazy about this idea, (an understatement), but that sweet little face melted all of his resistance. Now I need to make sure that Buddy is free of fleas and other disgusting parasites to keep our cozy arrangement going strong. 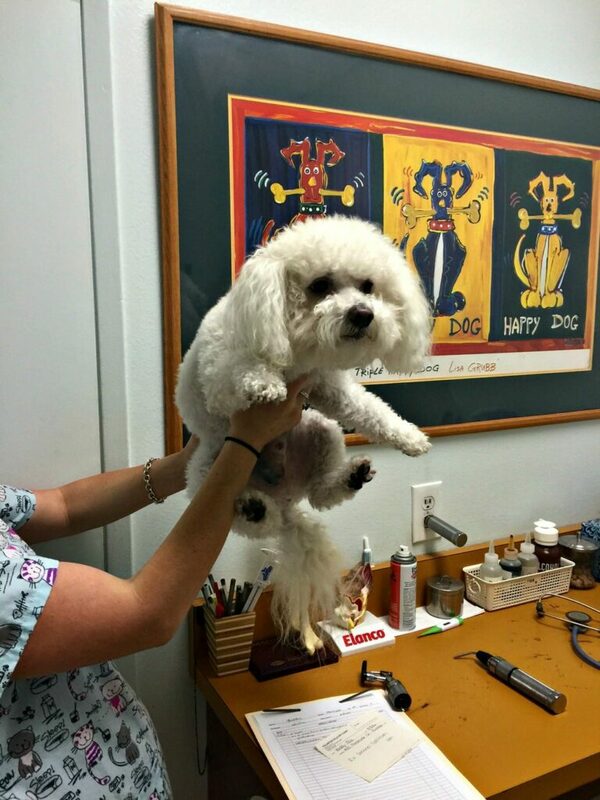 Fleas just love little white dogs and I learned that one female flea can lay up to 40 to 50 eggs a day. In addition to fleas, there are 5 other common parasites who are just waiting to hitch a ride. We also need to protect them from heartworm, hookworm, roundworm, tapeworm and whipworm. Can we all say a collective yuck! Disgusting to us, but think about how painful painful it must be for our furry ones. Then think about the vet bills and the expense to get them well again. Yes mom was right, we can do things the easy way. Buddy knows all the neighbor dogs too by sight and by smell. He insists on stopping and socializing with every dog we encounter during our walks. He has forced me out of my shell and gets me off the computer several times a day for our strolls. Truth be told, many of my blog posts are written with him sitting in my lap. I am reminded everyday of how fortunate I am to work from home and enjoy his company. I feel so much better knowing that friendly little Buddy is protected should one of his neighbor dog friends have fleas or other parasites. 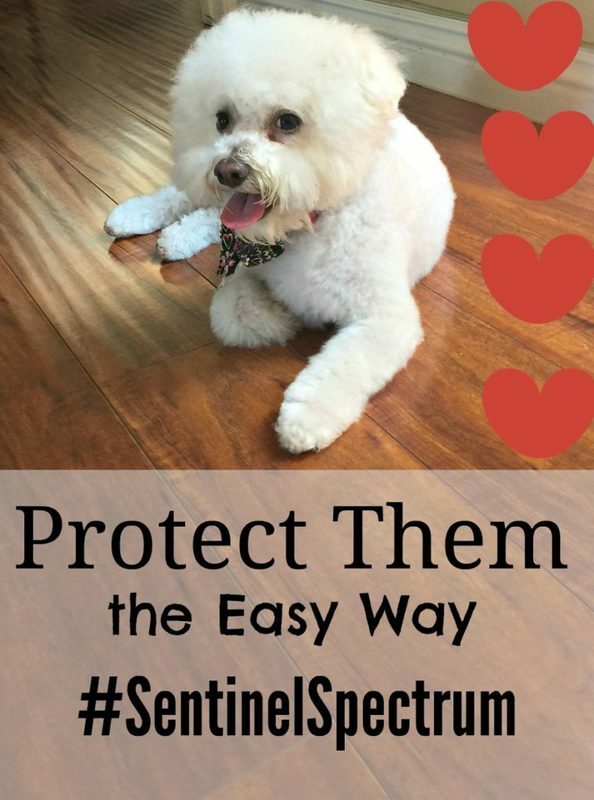 Sentinel® Spectrum® helps protect our dogs from common parasites they can come into contact anytime; on a walk, at a dog park or even in our own yard. Back in March, we took Buddy to the vet for a simple blood test to detect heartworms. Over 300,000 dogs in the U.S. contract heartworms every year from infected mosquitos. It takes approximately six months from the time an animal is infected until it can be detected by your veterinarian because the test detects ADULT worms. Left untreated, heartworms can cause lung and heart damage and even death. Buddy was adopted from a rescue group so I don’t know too much about his history or the care he received before he came into our lives. I was so relieved when they called me the next day to tell me the heartworm test was negative. Our vet recommends having the test done annually and told me the best way to protect him against heartworms is to not miss any of your monthly doses of Virbac® Sentinel® Spectrum®.Click here to learn more about Sentinel®Spectrum®. We are on our second month now and remembering to give the monthly dose is easy. You can let Sentinel® remind you with their email or text reminders. 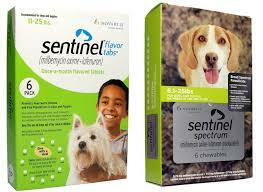 You can purchase Sentinel® Spectrum® through most veterinarians, in 6 or 12 month supplies, or ask your vet to write you an RX and then buy it at one of the popular websites where pet medicines are sold. We had a flea infestation many years ago in another house with another little white dog. I shudder at the memory of it and never want to repeat it. These are hardy creatures that are very hard to eradicate. Do it the easy way and get your dog protected. Sentinel® Spectrum® will actively help prevent the hatching of flea eggs. You can use it with other flea medications and OTC products to keep your pet flea free. Get informed about year-round parasite control with these helpful articles and about parasites and at the Companion Animal Parasite Control (CAPC) website. Our beloved pets count on us to give them protection because both indoor and outdoor dogs are at risk year – round —no matter where you live. The cost of a 6 month supply of Virbac® Sentinel® Spectrum® is very reasonable, especially when you consider the alternatives. Sentinel® is offering a rebate to make it even more affordable. I think it is important to take care of our animals. 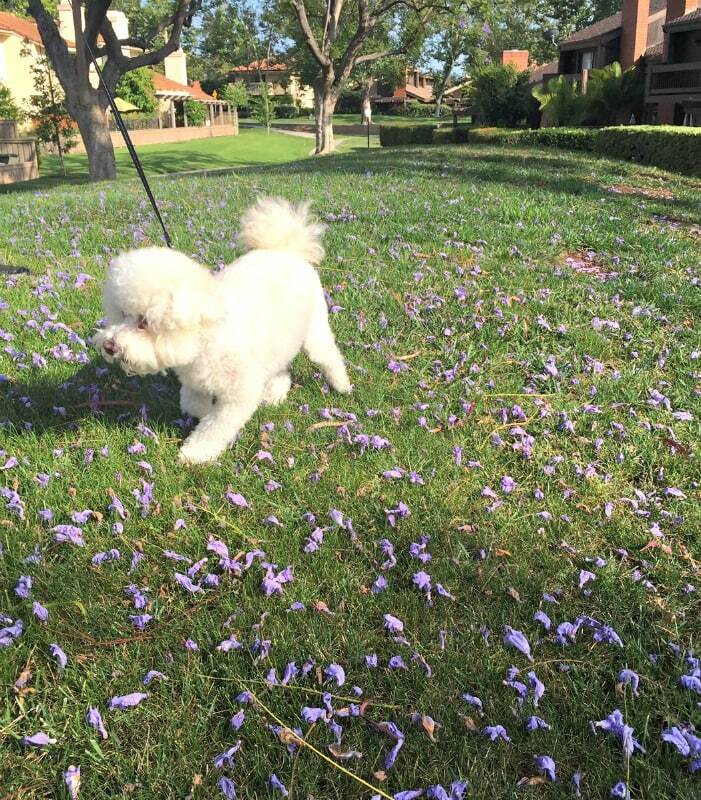 Staying healthy and happy is always my goal with my pups. When I have mine we would give him something along the same lines as you mentioned here. It worked like a charm. It is amazing how much of a difference that one little thing can make. This sounds like an amazing way to protect your pet. It’s so important to keep our pets protected year round. Fleas and ticks can actually carry worms! Gross. What a great thing to have year round protection for our furry friends. What a cute doggie! I am very good at keeping my animals on all of their meds and keeping their shots on track. With 4 dogs and 3 cats, you can never be too careful about their health! It is very important to take care of your pets! I make sure my boys are treated with the best vaccinations and very healthy foods! I love them like they are my children! Oh, I never knew about this. It sounds so valuable for pet lovers. Thanks for sharing the information! Your little buddy is adorable! This sounds like a great product to keep your pet protected from fleas. I will share this with my friends. That reminds me that I need to get more heart worm meds for my pup! Thanks for the great post, and I need to check this stuff out. I’m always behind on getting my dog’s shots..thank goodness he’s always been healthy! First off, your dog is adorable! I also think it’s really important to protect dogs from this. I don’t have a dog, but I do have two cats. It’s very important to make sure they’re getting treated properly. We don’t have dogs here, but we have a few back in my home country. And we do take care of them like family. 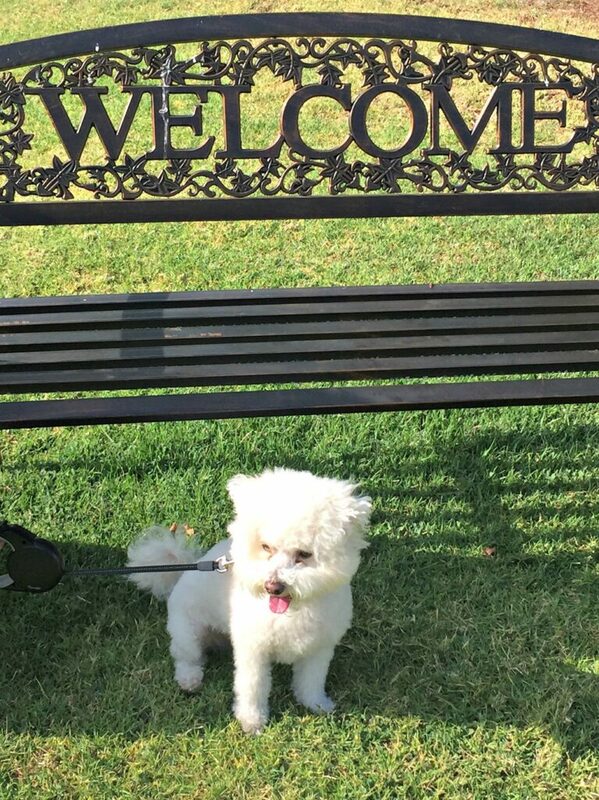 Your dog is so cute, by the way. I’m so happy when I hear how dog owners are making sure to protect their fur babies.Sounds to me like you only want the best for yours! He is so adorable. Dogs can be a great way to get you out and about. I will have to tell my Sister about these products for her dog. I don’t know if I’ve heard of that brand before. I may need to check it out. I have a few more doses of our current brand left, but I’ve found that it isn’t working as well as I would like.